Here is the gorgeous front cover for Frozen Charlotte. 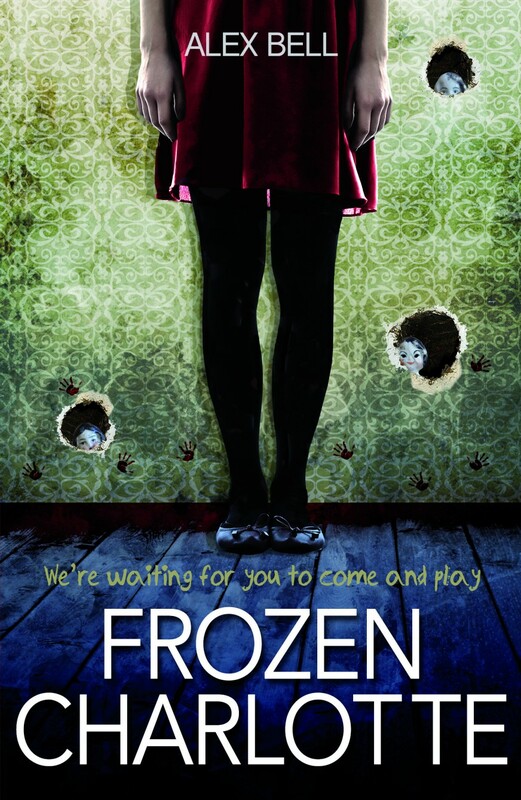 I’m so chuffed with this – especially since it has some actual Frozen Charlotte dolls on the cover – and what’s not to love about tiny bloody handprints all over the wall? We’re waiting for you to come and play . . .
Sophie doesn’t believe in ghosts – that is, until her best friend, Jay, downloads a ouija board app on his phone. The board tells him, “tonight”. So when Sophie finds out that Jay has been killed, she knows his death was more than a tragic accident. Sophie’s quest to discover the truth takes her to a remote Scottish island and a family with secrets to hide. And if she can’t unravel the mystery soon, Jay won’t be the only person who meets an early grave . . .
Due for ebook release in July 2014 and paperback release in September 2014 as part of the new Red Eye YA horror series from Stripes Publishing. If you’re the kind of keen bean who pre-orders books, you can do so here. And be sure to check out the fantastically disturbing cover for Lou Morgan’s Red Eye book, Sleepless, over on her blog.